Looking forward to sharing our adventures – the good and the not so good as we have fun and make mistakes creating our new mobile lifestyle. 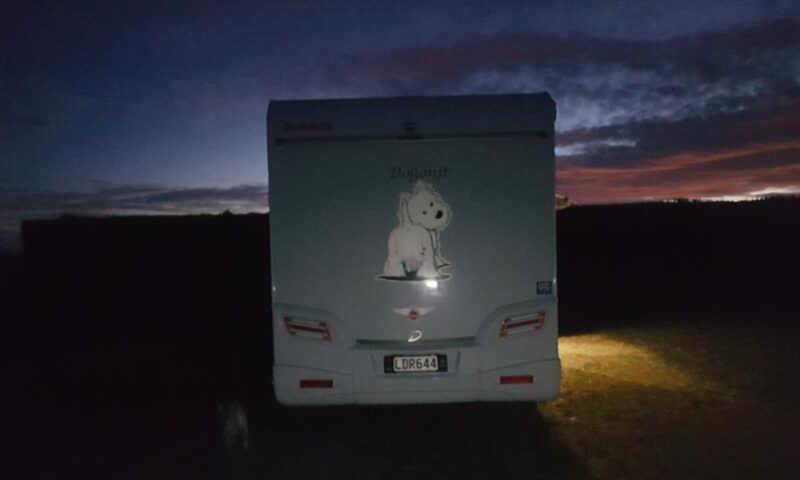 We are at base for the next few days at least until after the 7th as Dogonit is having a few minor warranty repairs and a few adjustments back at Zion Motor Homes (formerly Acacia Motor Homes). 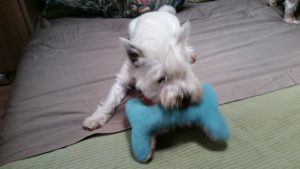 Photos of Rose after she has been reunited with Boney (her soft toy of 12 months) after it was misplaced under the mattress in Dogonit. At last we are online. 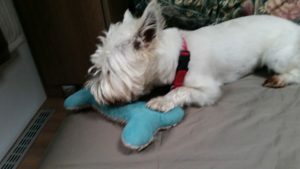 This website/blog is a record of our travels with Mac and Rose in our motor home Dogonit. The intention is to write a post including photos every day while on the road. Please do make constructive comments we like being praised as we are only human.